Rydell Industrial (Belting) Co now stock and supply Rycon round hay baler conveyor belting. Specifically designed for harvesting machines, these round hay baler conveyor belts are made of a 3ply construction with a rubber mini rough top cover and a low friction underside. 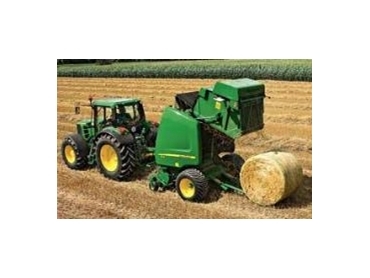 They offer a durable and long lasting belt to ensure trouble free operation in the field. All Rycon round baler conveyor belt are available as open lengths, or clipped with special baler belt fasteners cut to a specific width.